Did you know? Oct. 5, 2015: That's the day TransLink's new fare system — Compass — changes so commuters only pay one fare no matter how far they travel by bus. TransLink's new fare system — Compass — has officially changed so bus fares are uniform, no matter how far a rider travels. After months of delays, line-ups and confusion the long-awaited new system is pulling out of the station, but the plan — launched in phases— is not on everyone's radar. For example did you know? 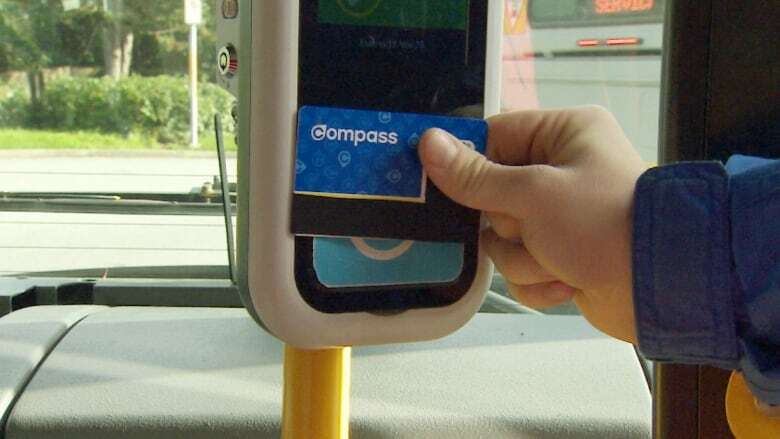 Compass Card holders no longer need to tap as they get off the bus. Changes don't apply to SeaBus or SkyTrain, so travellers who switch must add a fare. The "tapping out" change comes after concerns were raised that the practise on buses would cause delays for passengers. "Everything else in terms of zones on SkyTrain and SeaBus, that remains the same," said Jennifer Morland, TransLink spokesperson. TransLink says the 1-zone fare system for busses is just a temporary measure until it does more consultations next year. But the transit authority is also experimenting with fare gates. One will now be closed at each station on Expo and Millenium lines with the hope being that transit users will get familiar with the barriers. Eventually the "easy-to-use" Compass Cards will replace all passes and tickets. So far only 225,000 cards have been issued to mostly students and West Coast Express customers. TransLink says 100,000 people use the cards, on average, each day. By November 1, Compass cards will be available for purchase at all TransLink vending machines and retailers. Faresavers will continue to be accepted for months, even after the full switch-over to Compass in 2016.